The #FITGIRLCODE crew will be present at yet another event – this time the Rock & Run in Amsterdam the 14th September! Not only will we be running a couple of kilometers, but we will also have a stand where we are selling the #FITGIRLCODE bags. So tell me Fit Girl, do you want to have an awesome day with us, get your #FITGIRLCODE bag (you’re saving on the shipping costs, yay), and run for a good cause? Come join us at the Rock & Run! Yeah, you read that right, you’d be running for a good cause! Rock & Run donates part of their revenues to LiveBuild, a project that aims to lower the rate of child mortality as a consequence of polluted water with 20 percent. Their Children’s Hygiene Intervention Program (CHIP) supports 24 villages in improving their hygienic situation and sanitary facilities. So if you run along, you will actually be contributing to less polluted water for a village in Cameroon. Run Fit Girl, run! Of course the #FITGIRLCODE crew will be running as well, but before and after the run (during the awesome music gigs), we will also be selling the infamous bags! If you want one of these babies and save on shippings costs, come and visit us at the Rock & Run to get your favorite. But wait! There is more! We will be present with 13 members of the #FITGIRLCODE crew, all wearing #FITGIRLCODE tees. If you spot us, be sure to take a picture with us. 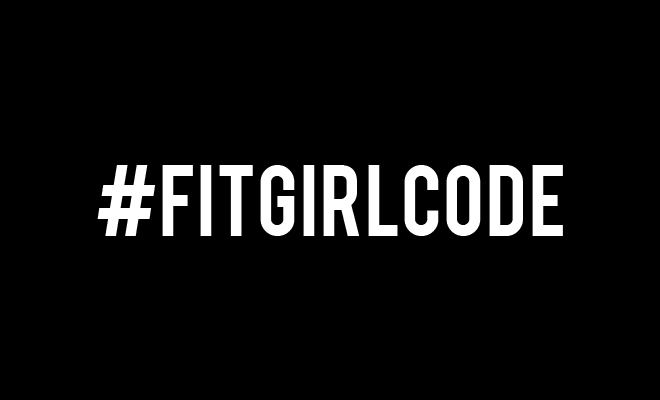 The person who has spotted the most Fit Girls wins a #FITGIRLCODE hoodie! Yay! So how does it work exactly? Spot as many Fit Girls as you can. We will be recognizable by our #FITGIRLCODE t-shirts. If you see us, come say hi and take a picture together. After the event, make sure to email us the photos you have taken with all the Fit Girls you spotted. Post on Instagram and Twitter using the hashtags #fitgirlcode and #rockandrun. Tell us why you should win the #FITGIRLCODE hoodie. Get your tickets to the Rock & Run event below! See you there! Too bad I won’t be around to join! Any other Fun-run happening around Rotterdam soon?